It isn’t just lifting the lowest 30 state standards to real college and career readiness levels, but the tie with OER, that will be the legacy of the Common Core State Standards Initiative. Tom Vander Ark on GettingSmart.com says that the new standards unleashed a timely wave of investment in digital content. He goes on to list a small group of updating going on and although he mushes the updates driven by Technology in and doesn’t include current leaders in OER, it is a fun list to at least ponder along with each of our own content providers and tools. EdWeeks’s Catherine Gewetrz wrote a good summary of the wave of new Core-aligned content. She mentioned McGraw-Hill but left out Pearson’s substantial across the board investment in Common Core resources. The Core has provided the impetus for providers like Apex Learning, American Virtual Academy, and Compass Learning to update their curriculum. Compass is shifting from courses to objects and Flash to HTML5 to enable anywhere & any device learning. MIND Research Institute just launched a touch version of its visual ST Math. The program has posted great results with twice weekly lab use. Now that it is available on tablets it opens up a world of possibilities for expanded use—and impact. Mastery Connect provides a platform to connect Common Core goals with classroom practice through the innovative use of on-­‐demand micro-­assessments sourced from a nationwide network of educators. Mangahigh makes compelling middle grade math games with embedded Core-aligned assessment and achievement analytics. Bloomboard (formerly Formative Learning) provides online professional development. 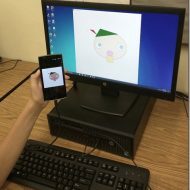 LearnZillion launched a highly flexible, ultra low cost production model for generating Common Core digital curricula that rapidly iterates and improves through use. StudySync models the deeper learning and rich discourse incorporated in Core standards. Core standards are also the basis for next generation assessments in development by the Race to the Top funded testing consortia—PARCC and SBAC. These online assessments provide a useful timeline for the shift from print to digital instructional materials. Common Core State Standards provide a national platform for innovation. For the first time, content developers can invest for a national market. As illustrated above, the Core has triggered a wave of investment in engaging, personalized learning content and tools.